Twilight of the Assassins: Why the U.S. Refuses to Prosecute the Cuban Exiles Luis Posada Carriles & Orlando Bosch For the 1976 Bombing of Cubana Airlines Flight 455 | Democracy Now! This past Friday marked the 30th anniversary of the bombing of Cubana Airlines Flight 455. On October 6th, 1976, the airline left Venezuela headed for Cuba. It would never reach its destination. Just minutes into flight after a stopover in Barbados, the plane exploded in mid-air. All 73 passengers were killed. On Friday, relatives of the victims gathered at a cemetery in Havana. In addition to remembering their loved ones, the mourners also renewed calls for justice. The main suspect is currently in US custody. But the Bush administration won’t extradite him to Venezuela or Cuba to stand trial. The suspect’s name is Luis Posada Carriles. He’s an anti-Castro Cuban exile with extensive ties to the CIA. Posada was arrested last year after he snuck back into the United States following years of hiding in Latin America. He’s currently being held in a Texas detention center. A federal judge recently ruled that Posada should be freed pending deportation, but U.S. immigration officials said Thursday he’ll remain in custody. Cuba has accused the Bush administration of having a double standard on prosecuting terrorists. Well today we take a closer look with a reporter who’s just written a major new piece about the Cubana bombing for the Atlantic Monthly. Yesterday, I spoke with the veteran author and journalist Ann Louise Bardach. She first interviewed Luis Posada Carriles in 1998 for The New York Times in one of his only in-depth interviews. Her latest article for The Atlantic Monthly is called “Twilight of the Assassins.” In addition to Luis Posada Carriles, Bardach also interviews Orlando Bosch. He’s another long-time anti-Castro exile who’s been implicated in the Cubana bombing among many other international crimes. I began by asking Ann Louise Bardach to talk about Posada and Bosch’s links to the bombing of Cubana Flight 455 and who else they worked with at the time. Ann Louise Bardach, investigative journalist and author of the new article “Twilight Of the Assassins” that appears in the Atlantic Monthly. * A Note From Luis Posada*, militant Cuban exile Luis Posada discusses his actions, explains his motivations, and advises Ann Louise Bardach on what to write. * Life With Luis Posada*, Read a recent letter to Bardach from Posada, along with his answers to her questions on everything from his favorite singers to his thoughts on Cuba after Castro. StoryApr 13, 2005Anti-Castro Cuban Exile Tied to Deadly 1976 Airline Bombing Seeks Political Asylum in U.S.
AMY GOODMAN: Today, we take a closer look with a reporter who has just written a major new piece about the Cubana bombing for the Atlantic Monthly. Yesterday, I spoke with veteran author and journalist, Ann Louise Bardach, who has been on this story for years. She first interviewed Luis Posada Carriles in 1998 for the New York Times in one of his only in-depth interviews. Her latest article for the Atlantic Monthly is called “Twilight of the Assassins.” In addition to Luis Posada Carriles, Bardach has also interviewed Orlando Bosch. He’s another longtime anti-Castro exile who’s been implicated in the Cubana bombing, among many other international crimes. I began asking Ann Louise Bardach to talk about Posada and Bosch’s links to the bombing of Cubana Flight 455 and who else they worked with at the time. ANN LOUISE BARDACH: This is what I explained in the story is the plane was blown up. Two young Venezuelans planted the explosives: Hernan Ricardo and Freddy Lugo. Both of them had been working for Luis Posada, both when he was working at DISIP, which was Venezuelan intelligence, and he had his own private detective agency after he had a falling out with the Venezuelan government. He had a wildly successful detective security agency. And the two guys worked for him sort of doing odd jobs. Hernan Ricardo, particularly, was a very active kind of saboteur and was involved with other attacks. This, we know from a memo of the legal attaché at the time. The two guys boarded the plane. They changed planes. And they carried explosives in a camera and planted the camera under a seat in the midsection of the plane, and at some point Ricardo went to the restroom, and he planted more — other explosives. It was detonated, we understand, by something like a pencil-sized timer detonator device, as I understand it, which he probably threw into the ocean before they left Barbados, which is — they got off the plane in Barbados. The plane took off from Barbados and short — right after takeoff blew out of the sky and went into the sea. The guys were picked up in Trinidad, and they were interrogated by a police commissioner named Dennis Ramdwar, and I interviewed Ramdwar, who’s still alive, on the telephone. And Ramdwar had clearly a very vivid impression. And he interrogated them for days on end. And they began by saying, no, they were innocent, and very quickly thereafter they told another story. They, in fact — Ricardo said they worked for the CIA and gave their ranks, which was — there’s no evidence to support that. It’s entirely possible Luis Posada told them, “Look, you work for me, and I’ve been an asset for the CIA, so therefore you work for the CIA,” and they bought it. But what Ricardo did do is he sat with Ramdwar, and he explained that he worked for Posada and for Orlando Bosch, and he explained the organization known as CORU, and that’s capital letters, C-O-R-U. It’s an anagram. And he explained how it was an umbrella group of anti-Castro militants and how Orlando Bosch ran this and how they had this huge bombing campaign. 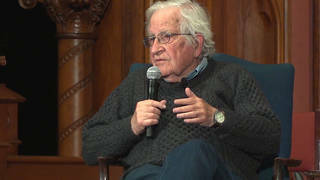 And he also talked about Condor, which was Operation Condor, which many people didn’t understand at that time, but Operation Condor was, we now know, was called the dirty war, and that was a war that raged through South America, led by people like Pinochet and various rightwing strongmen to eliminate their political enemies. And basically, what we’ve learned is that CORU, the Cuban group, would do some chores for Condor over the years in order to ingratiate themselves with the powerful Condor Pinochet crowd. And I guess the most notable instance of this would, of course, be the Letelier assassination right in Washington, which happened just three weeks before the Cubana plane went down. AMY GOODMAN: That was the assassination of the Chilean diplomat, Orlando Letelier, and the young American researcher, Ronni Moffitt, on Embassy Row. AMY GOODMAN: You mean, killed. ANN LOUISE BARDACH: What’s that? ANN LOUISE BARDACH: Yes. I think they were kidnapped, and I’m not certain whether there was ever any recovery. AMY GOODMAN: Now, you write about how these two young Venezuelans actually made phone calls when they got off the plane — and then the plane took off and blowup — to both Orlando Bosch and Carriles. How do you know this? ANN LOUISE BARDACH: It’s in the police records. They got the phone records. As I said, they arrived in Barbados. They went to a hotel. They immediately called Posada’s office. First call. They immediately phoned a phone number for Orlando Bosch. The funny thing is, or the curious thing is, is the first time they called Bosch, they didn’t get through, because Bosch — they dialed — one digit was wrong in the number. And then they changed — they changed hotels in Barbados. They got very nervous. Ricardo got nervous that he thought he saw Cuban agents. And then, he finally did make contact that night with Orlando Bosch, and he said that the plane had been blown up. And Bosch had a very curious cryptic remark. He said something like, “Chico! Oh, my God! You never blow up a plane in the air.” Now, one of the things I learned by going through all these police reports and everything is the plan was to blow the plane up on the ground, and that if you read the Joseph Leo memo, the legal attaché, he talks about their informant saying that the timer went off wrong. So, in other words, they did not want the big splash, or it was not intended that the plane blow up in the air in that dramatic horrifying way, but rather on the ground. And I don’t really understand the difference, as so it seems to me you still have the same civilian loss of life. AMY GOODMAN: And Joseph Leo worked for? ANN LOUISE BARDACH: He was the FBI’s legal attaché, and he gave the visas to Hernan Ricardo to go on this trip, and he’s been greatly questioned about that judgment or lack of judgment. He wrote a very long memo that some people would say would be “cover your back” about this and why he was giving visas to Hernan Ricardo. And the memo can be seen on the National Security Archive website. AMY GOODMAN: We’ll return to our interview with Ann Louise Bardach. Her new piece in the Atlantic Monthly is called “Twilight of the Assassins.” In addition to interviewing Luis Posada Carriles and Orlando Bosch, Bardach will be talking about the whole situation of right now Luis Posada being held in a detention facility in Texas, not for terrorism, but for immigration charges. Stay with us. 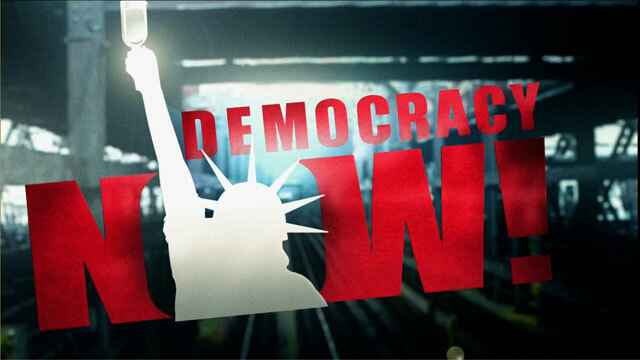 AMY GOODMAN: We return to our interview with Ann Louise Bardach. Her piece in the Atlantic Monthly is called “Twilight of the Assassins.” She’s also author of Cuba Confidential. In addition to interviewing Luis Posada Carriles and Orlando Bosch, Bardach also interviewed several CIA officials who worked with the anti-Castro groups that Bosch and Posada were a part of. I asked her if these officials could confirm what Posada and Bosch had told her about the Cubana bombing. ANN LOUISE BARDACH: Posada always maintained his innocence in this crime, and when you ask Bosch about the Cubana shoot-down, he says, “Look, I got acquitted.” Now, about Orlando Bosch’s acquittal, I looked at the lot of materials and the police reports and the court records and the Venezuelan files on this, and what’s completely clear is that there was tremendous pressure on the judges to acquit him. The first judge dropped out of the case, because she got death threats. The second judge actually said to a Venezuelan reporter at the time that they were under tremendous pressure to acquit them. And he said at one point — and I think it’s in the Atlantic Monthly piece, if I remember correctly — he said, “Look, the government’s putting a lot of pressure on us, and the government will do what the government wants.” And remember, once Bosch and Posada are arrested, there was a siege of bombings and threats against Venezuelan facilities, Venezuelan properties and Venezuelan officials. So there was tremendous pressure. And, in fact, the judge, the second judge, later his own son was killed, and that was never quite clear what that — an awful lot of people involved with this case had a very bad ending. And you really — you couldn’t get a judge that wanted to go near it. In the end, when Bosch finally went to trial, almost all the evidence was ruled inadmissible. It was really stunning. All the police reports from Trinidad, the confessions of Ricardo and Lugo, all the reports out of Barbados, every shred of evidence that was extraordinarily compelling was ruled inadmissible on of the grounds of, guess what? They said, “Well, the interviews were done in an English-speaking country,” even though there were, you know, certified Spanish language translators involved at all times. So they threw out the file — so there was no evidence. So once you got a judge to declare it inadmissible, what was there to try Bosch on? So, not surprisingly, he did win an acquittal. And I found that one of the more interesting points, because you hear this endlessly in Miami, how he won an acquittal. I will also say that in Venezuela, anybody who spent any time in Venezuela, even when I was there in 1998, the judiciary, to put it kindly, has always been extremely susceptible to what’s called mordidas or bribes. This is no secret. The corruption of the Venezuelan judiciary is well-known, and certainly at this time it was perhaps its most salient feature . AMY GOODMAN: Now, Posada, Ann Louise Bardach, was not acquitted. ANN LOUISE BARDACH: Posada was not acquitted. Or he — initially there was one acquittal, but it was — you know, they put it in civil court, then military court, then it rolls over to civilian. Basically, Carlos Andres Perez realized — it was the president of the country — realized he had a real big hot potato. If he didn’t properly detain these guys, with the voluminous files, which were Venezuelan files, Cuban files, FBI and CIA files, all of which concluded in unison that Bosch and Posada and some others were responsible, that he would have no credibility. And he had also promised Fidel Castro, who in the '70s he was beginning to have a kind of rapprochement with, that he would have a fair trial. So he couldn't release them, but he couldn’t convict them, he felt, because anti-Castro militants were attacking all these facilities and properties of Venezuela. And he did not want to be in the crosshairs. And there was one other complication. Carlos Andres Perez, who lives now in Miami, was a very cagey character. He used to be the head of the Ministry of Interior in Venezuela and, you know, was a recipient of a huge amount of CIA largess at one point. And DISIP, the primary intelligence organ, was run by Cuban exiles, and the man who really ran things was a man named Orlando Garcia. And I interviewed his son. And Orlando Garcia, it is believed by my FBI, CIA sources, either knew about this beforehand, but he certainly knew immediately after. And he, in fact, had invited Orlando Bosch to Venezuela, and that was a huge complication for Perez. So, in other words, Orlando Bosch had been the invited guest of the president of Venezuela, and so it made them look just dreadful. So there was a lot of pressure to exonerate Bosch, because he had been the president’s invited guest, and put it all on Luis Posada. AMY GOODMAN: Ann Louise Bardach, you write about the destruction of vital evidence in the Miami’s FBI bureau that severely hobbled the investigation of Posada. Who destroyed this evidence? What was it? ANN LOUISE BARDACH: My sources inside the FBI — well, actually, I have several sources around this and I want to be a little careful with this situation, but they are certainly firsthand sources — were very dismayed, because sometime after 2002 the evidence in the evidence room of the Miami FBI was destroyed — I understand, shredded. And this involved the original Western Union cables, the faxes — original evidence. And most courts demand original evidence, not, you know, copies or facsimiles. And somebody made the decision to close the case. And this would be 2003, when Posada was, I think, fairly much in the news. That’s the year we think this happened. But in order to decide to close a case — because you cannot destroy evidence unless the case is closed — somebody had to sign off from the U.S. attorney’s office, the supervising officer at the FBI had to sign off, and the SAC, the Special Agent in Charge, had to sign off. And then the case is closed, and then you are able to destroy evidence. The files live forever, but the evidence gets destroyed. It’s actually called the bulky. And we called the FBI for comment, when we were going to press, and I spoke to their spokesperson, and she says in the Atlantic Monthly piece that, “Look, you know, when we close a case, you know, we’re very overcrowded in that room, and we have to make room.” Now, we’re talking about paperwork. The evidence room also contains, like, machine guns or, you know, drugs that have been confiscated, etc. In the case of Posada, it really was paperwork. So you wonder how much space it was really taking up. And, as I understand it, it was put through the shredder, which would be the custom for paperwork. I really do think there has to be an investigation into this. AMY GOODMAN: Well, the government is clearly investigating something: they’re investigating you and the New York Times. Can you talk about their call for — their subpoena of both of you for documents in this case? ANN LOUISE BARDACH: Well, you know, I write in this story — and on the Atlantic website I give a lot more background for people who are interested in subpoenas and the media issue and the whole background of this — when Posada was finally arrested in 2005, I got a phone call — FBI agents were calling me. Now, initially, I chatted, because I’ve always had good relations with various agents over the years. They had been very helpful sources to me. And then, one of them said, “We would like to see all your research, all your files, all your stuff.” And he said something about, “Can we see your FBI/CIA files, along with everything else?” And I said something like, “Why would you want to see my FBI files? You’re calling me from the FBI. I got them from you.” And there was a pause, and it was like, “Do us a favor. We can’t seem to find ours.” And I thought maybe that was a joke. Well, evidently they weren’t joking. And by the way, it’s been very hard to hold onto evidence in the Cubana shoot-down, not just in the Miami FBI office. In the Venezuelan DISIP, when Hugo Chavez was elected president, there was a huge, I was told, destruction of files, many, many files going back, not just this case, but many other sensitive cases. There was a fire, a mysterious fire, in the Trinidad police department that took their files. It’s interesting to me how hard it is for various intelligence agencies to hold onto their files in the Cubana shoot-down or anything related to Luis Posada and Orlando Bosch. AMY GOODMAN: So they’ve subpoenaed you. Are you giving over these documents? AMY GOODMAN: They’ve subpoenaed you. Are you giving over documents? ANN LOUISE BARDACH: No. We were subpoenaed, and I describe this — we were subpoenaed, and the New York Times went to court — it was the 11th District — and was able to win a quash. They called again, oddly enough, on September 11th. September 11th was an interesting day in this case, because on September 11th, the government made a plea with two of Posada’s closest cohorts, Santiago Alvarez and another man, Osvaldo Mitat, who were facing up to 60 years, and they got a plea to serve under five. It was also the day that the judge in this case recommended that Luis Posada be released. And then the government called the New York Times and said, “Look, you know, if you don’t play ball, we’re going to subpoena you again.” So they were very busy on September 11th. I don’t know if that was a coincidence or not. AMY GOODMAN: And the infighting between Henry Kissinger and George Bush, Sr.’s CIA? ANN LOUISE BARDACH: Well, you know, that’s one of the interesting things, I mean, about — George Bush only served around 15-18 months in the Central Intelligence Agency. You know, he was really dispatched there. It’s a funny historical footnote. You know, what he has said and other people have said, you know, he got dispatched there, because Donald Rumsfeld was then his rival during the Ford administration. They wanted to get rid of — or he wanted, Rumsfeld wanted to get rid of George Bush. And the idea was, if you went into the CIA, you would never have a political future. So he was kind of shuffled over there. But there’s an interesting history with George Bush, and that goes way back with the CIA. I don’t think this was a total accident he was put there. But be that as it may, he served, you know, 15 or maybe 18 months — I think it was 15 months — as head of CIA. And really the only remarkable thing about those 15 months is it was absolutely the worst period of exile violence, militancy and bombings, I mean, two of which are the most famous in history, and that’s the murder of Letelier and the bombing of a Cubana airliner. And the question that a lot of people ask — in both acts, there were informers who said — predicted them, who gave advanced intelligence, and they said, you know, these were going to happen — in fact, we believe Luis Posada himself, actually, informed and said that a Cubana airliner would be taken down — is that the Cuban government was never warned. Letelier was not warned. And so, I hear a lot of people say the CIA was complicit in the Cubana shoot-down. I do not believe that they were complicit, but I do believe that the evidence indicates that they were negligent. AMY GOODMAN: And so, now, what happens with Posada right now in this El Paso jail, with the judge saying on September 11th that he’s got to be freed, if he hasn’t been charged with terrorism charges or other charges, he’s got to be freed? ANN LOUISE BARDACH: Yeah, a lot of people, including Hugo Chavez, are saying, “Look, you know, there’s this terrible judge.” Actually, the judge is saying, “Look” — he’s saying to the U.S. government, “You either charge him, you do something, or we have a Supreme Court ruling on habeas corpus. We can’t hold people indefinitely.” Posada’s own attorneys have told me that all that is needed to detain him is for Alberto Gonzales and Condoleezza Rice to certify him under the PATRIOT Act, and then he can be held as long as they would like to detain him, but, they told me, that Condoleezza Rice and Gonzales are not going to do this, because they’re close to the Bush family, and they’re not going to do anything — they don’t want their fingerprints on this. They don’t want to have a problem with their flank of hard-line Cubans in Miami. They told me absolutely nothing will happen before the election, and that — you know, I’ve heard it from both ends, from all sides, that pretty much politics is determining every element of this case. You had to feel bad for the government prosecutors in the courtroom. I mean, the judge would ask the most minor quotidian questions, and they would have to leave to go and speak to somebody in Washington. And, you know, you’ve got to say to yourself that if the FBI — I mean, it’s not an “if,” I mean, this has been confirmed — when the FBI destroys evidence in a case — and they can only do that with the U.S. attorney signing off, having closed the case — are they remotely serious about prosecuting this case? And I would argue that they are not. I think they have an interest in maybe prosecuting the New York Times, but I don’t think there is really any seriousness. They just feel like they’re between a rock and a hard place. I’m sure there’s very dedicated people in the Department of Justice, in the FBI and in the CIA. There’s no question about it. But from the people I speak to, they say that the political level has just quashed everything. AMY GOODMAN: Ann Louise Bardach. Her new piece is in the Atlantic Monthly. It’s called “Twilight of the Assassins.” She is also author of the book Cuba Confidential. She interviewed Luis Posada and Orlando Bosch. Anti-Castro Cuban Exile Tied to Deadly 1976 Airline Bombing Seeks Political Asylum in U.S.